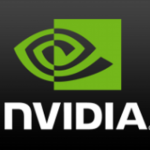 NVIDIA virtual GPU software is supported on several cloud services with bring your own license (BYOL) licensing and licensing provided by the cloud service. Release 6.7 U2 and compatible updates support vMotion with vGPU and suspend-resume with vGPU. Release 6.7 supports only suspend-resume with vGPU. Releases earlier than 6.7 do not support any form of vGPU migration. This release of Quadro Virtual Workstation is supported with the Microsoft Azure VM sizes listed in the table. Each VM size is configured with a specific number of NVIDIA GPUs in GPU pass through mode. Note: If an attempt is made to use Quadro Virtual Workstation with an unsupported VM size, a warning is displayed at console login time that the VM size is unsupported. Quadro Virtual Workstation is available on Microsoft Azure images preconfigured with a choice of 64-bit Windows releases and Linux distributions as a guest OS. If a specific release, even an update release, is not listed, it’s not supported. The assignment of more than one vGPU device to a VM is supported only on a subset of vGPUs and Red Hat Enterprise Linux with KVM releases and Nutanix AHV releases. Only Q-series vGPUs that are allocated all of the physical GPU’s frame buffer are supported. NVIDIA vGPU software supports up to a maximum of four vGPUs per VM on Red Hat Enterprise Linux with KVM. Check driver version is 418.66, if it is then your host is ready for GPU awesomeness and make your VM rock. Check driver version is 418.66 if it is then your host is ready for GPU awesomeness and make your VM rock. When will KVM migration be available (RmEnableKvmVgpuMigration) ? When will SR-IOV be available (RMSetSriovMode/RMSriovVFFeatureMask/RmSriovVgpuFbScheme) ? What telemetry data are sent (RMNvTelemetryCollection) ? Where is NVidia QA ? Driver 425.31 in C:\NVIDIA\325.31 folder ! OpenCL does not work if driver is upgraded (CUDA works) – need to uninstall/reboot/install to get it working ! There are no 32bit vGPU drivers (425.31_grid_win8_win7_32bit_international.exe, 425.31_grid_win10_32bit_international.exe) !